But, we wonder, be present where? The answer comes: Venite, venite in Bethlehem. Come, come to Bethlehem. We cannot come to Bethlehem. It is a distant, war-torn place, at the heart of the most troubled area of our time. Yet it remains a place to which, even now, we are “commanded” or “invited” to “come.” Evidently, our time and place matter not. Once He who is to come has come, He is ever in our midst. Why are we asked to “come” to Bethlehem? What is triumphant there? Angels are not “born.” Yet they have a “King” who evidently is. In what condition is this King? This article is from The Reasons for the Seasons. He is a newborn. We see a baby, a child. We ask ourselves again: “Is He really a child, but also the King of angels?” This is rather much. A child is the King of angels? What is this verb, videte? What are we to do on arrival there? Are we only there to “see” Him? This is about all we can do to any baby, after all. We are indeed ordered to “see” Him. “See the one who is born.” The first wonder consists in seeing what has been born to us, that such a Child could be at all. Initially, we know only that He exists. “But why is it,” we wonder, “that the hymn sounds so much better sung?” If we just memorized the words, but not the music, would we remember it at all? It is no accident that music takes words beyond themselves. Each stanza to the hymn is followed by a chorus: Venite, adore-mus. Literally this reads, “Come, let us adore.” In English, we sing, “Let us adore Him.” The operative verb is “adore.” This “adoration” harkens back to the title He is given: “King of angels.” We do not “adore” angels. The verb adorare is specific. We ought not “adore” just anybody or anything. We are warned about idolatry. “To adore” is reserved for a relation to whom and to what this “King of angels” really is. If He is not “divine,” we ought not to adore Him. The refrain continue: Venite, adoremus. The words are repeated. “Come, adore. Let us adore.” Repetition is often the best thing we can do before what is glorious. The Latin finally gives us the “object” of this “adoration.” Dominum. The Lord is Christ, the Child in Bethlehem. This is the Incarnation, the most difficult of all Christian doctrines to believe, even more so than the Trinity. This famous hymn was written by an Englishman, John Francis Wade, in about 1760. Wade was a Catholic layman, a music teacher, who fled English persecution to Douai, the famous English college in France. The hymn was originally written in Latin, but soon had an English translation. I have always loved phrases that begin: “Yea, Lord.” The theology is correct. Jesus is the Word of the Father, the Logos, now appearing in the flesh. We do not “greet” Jesus just because He is another man, however wonderful that be. He is more than that. Christmas morning is “happy” not because it is another morning but because it is “this happy morning.” We now have someone amongst us to whom “glory” is to be given. This is all we can do, give “glory,” acknowledge what is. But present at His birth were His mother, Joseph, soon also the shepherds from the fields, and the Magi from the East. From the Magi, word reached Herod that something might threaten his reign, a “King of angels,” no less. So Herod set about seeking to kill Him. In the process, he killed male children from the neighborhood — the “holy” innocents, who still witness to all wanton killing of children, in or outside the womb. Others would later succeed in killing Jesus, where Herod failed. Venite, adoremus, Venite adoremus Dominum. 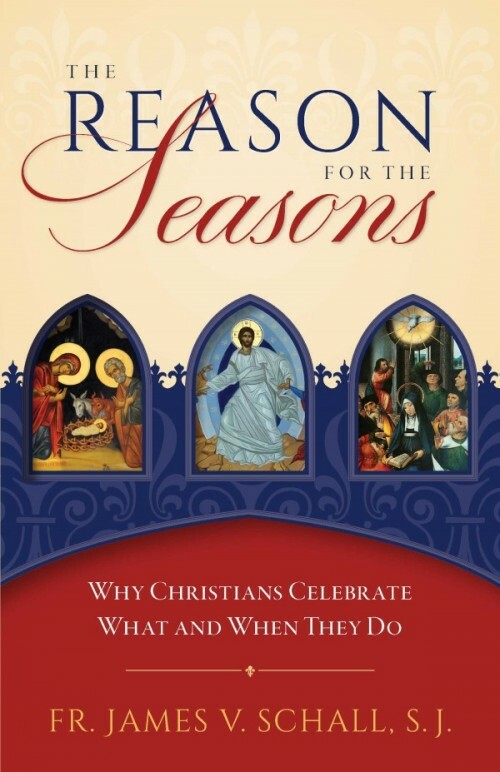 Editor’s note: This article is from a chapter in The Reason for the Seasons: Why Christians Celebrate What and When They Do, which is available from Sophia Institute Press.